All this writing about and watching of Christmas movies has me wondering what are the ultimate favorite Christmas movies. Which ones really are the most watched movies...I figure I could guess many of them but wonder if there are any surprises. There are so many wonderful holiday movies and new ones every year. Is it a classic Christmas movie like those discussed on Five Classic Christmas Blu-Ray Movies & Specials? 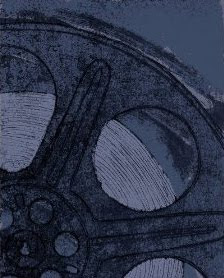 Or one of the modern-day films like Christmas Blu-ray Movies ~~ Add One To Your Collection Now? Or something totally different like a Hallmark Hall of Fame Movie like A Dog Named Christmas Movie? 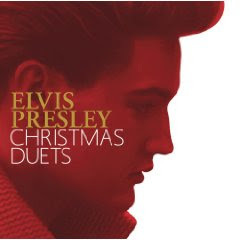 I'm looking forward to hearing YOUR Christmas favorites! seeing you at the movies! If you missed A Dog Named Christmas earlier this month you missed a good movie which is likened to Yeller with a happy ending. 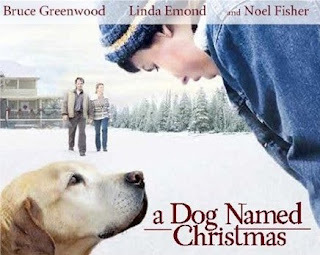 A Dog Named Christmas is based on the book written by Greg Kincaid. It is a thoroughly enjoyable family movie which will make you laugh, cry and smile. It tells the story of a young man who is developmentally challenged and who displays a wonderful affinity for animals. He learns of a special program that runs at Christmastime and sees people fostering dogs from the local shelter. He convinces his father that they should have one of those dogs for Christmas and his father finally agrees, on the stern agreement that the dog MUST go back on December 26th, when Christmas is over. A Hallmark Hall of Fame television production, I really enjoyed it. As a matter of fact, I even enjoyed the commercials. The movie is available for purchase from Amazon from private sellers by clicking right here, albeit at a premium due to the fact that Hallmark has not made it widely available. If you are looking for a well-done, family friendly, Christmas story, you cannot go wrong with this one. 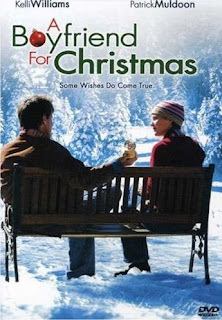 Buy A Dog Named Christmas the movie from Amazon. Buy A Dog Named Christmas from Amazon. Read more about A Dog Named Christmas. The Essential Holiday Collection is a great Christmas blu-ray movie set, perfect for holiday gift giving. I like the assortment of movies that it includes...The Polar Express, National Lampoon's Christmas Vacation, Elf and A Christmas Story. I think it represents an interesting selection of holiday movies for a family with older children. It doesn't contain any of what many people consider 'classic' Christmas movies, but it does contain a couple that may go on to become classics PLUS it contains fun movies that my teenagers would be happy to watch anytime. Concensus seems to be that these versions are better than the DVD versions although some people might have liked them to be better still. However, at Amazon's discounted price, which includes FREE shipping, I don't think you can go wrong if you are looking to build your blu-ray movie collection with a few fun movies. There are so many fantastic Imax blu-ray movies available that I created a list based on the bestselling ones on Amazon. You will find Coral Reef Adventure and Galapagos at the top of that list. That was the case a year ago...and it holds true today. 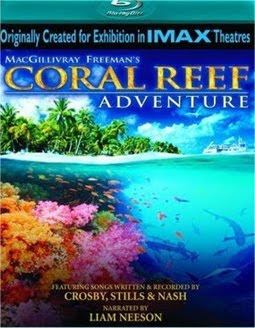 If you are curious about the rest of the top 10, visit my page Top 10 Imax Blu-ray Movies Are Adventure Documentary Films where you will find ten wonderful Imax films discussed. It just might help you narrow down which ones you want to add to your blu-ray movie collection.